By olduvai in Survival on March 16, 2019 . Venezuela’s oil capital, Maracaibo, was ransacked and looted in the midst of a blackout that hit the country around March 7. Even as the lights started to come back on, looting continued and residents overpowered disputed President Nichloas Maduro’s security forces. 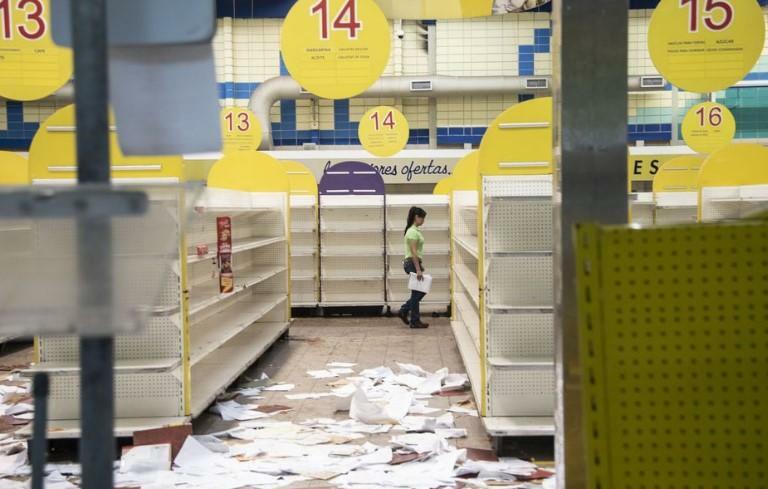 Store owners are just now starting to clean up, according a new Bloomberg article, which paints a picture of Venezuela as a country on the edge of total anarchy. Enrique Gonzalez, an 18 year old bus conductor said: “If people made enough to make ends meet, we wouldn’t be trying to get by like this. This country has gone to hell.” His driver, at the time, was pillaging a Pepsi warehouse, where thousands of bottles had been looted in hours and where people were now ripping out spare copper wire and scrap metal. Empresas Polar SA, a Venezuelan food giant, reportedly saw its Pepsi plant lose thousands of cases of beer and soda, 160 pallets of food, 22 trucks and five forklifts. A home improvement shopping center also saw its 50 stores looted by people who broke through its iron gates and glass doors. Travel agencies, cosmetic stands and snack shops were all pillaged among the chaos. 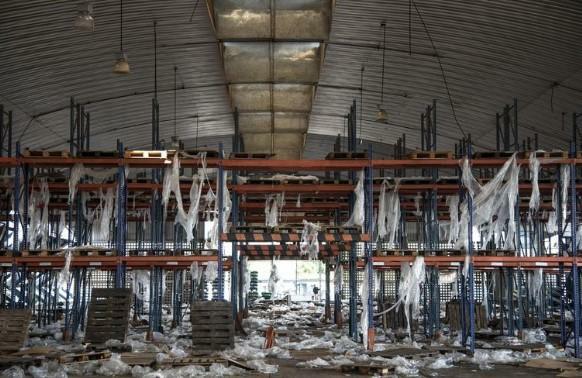 The country’s Centro 99 food market saw looters pick its shelves clean. “They even carried off the lard and flour to bake bread in their bare hands,’’ the store’s manager said.